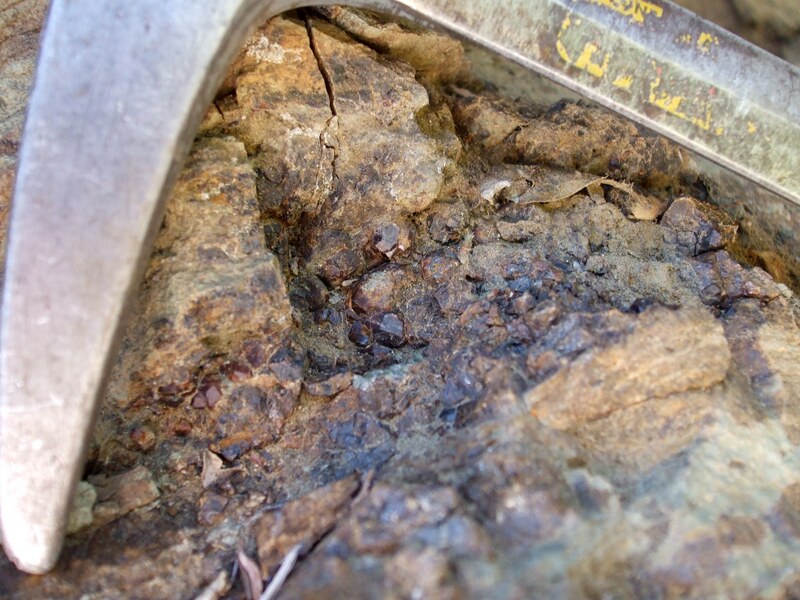 A garnet tactite (garnetite) horizon featuring well-formed garnet crystals is located in the complex Proterozoic metamorphic rocks south of Crown King. 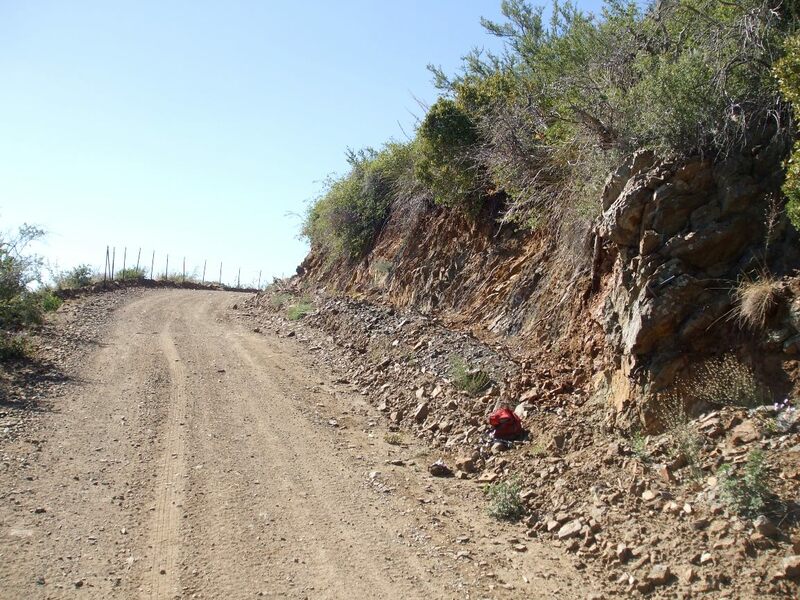 The coordinates give the location of a roadcut along Forest Road 192 in which the rock is exposed. 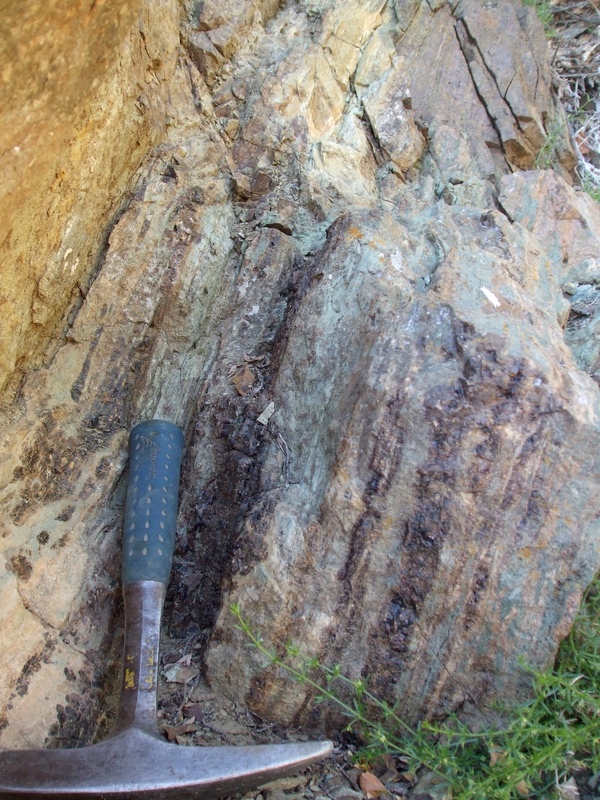 The locality is slightly south of the contact between the Crown King Granodiorite and the metamorphic package, so the tactite may be a product of contact metamorphism. 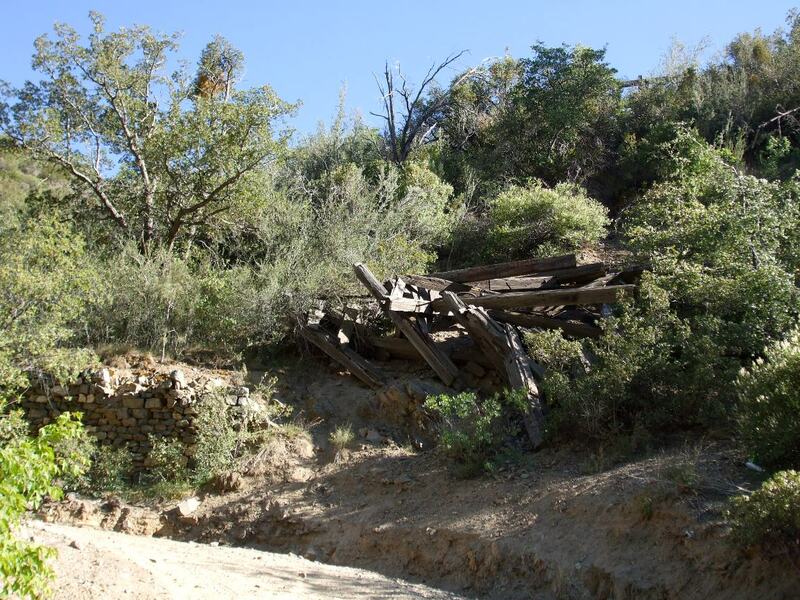 (The rock is mapped as a 'calcareous mafic tuff,' whatever that means....) Forest Road 192 is well-graded, although narrow, all the way to the Oro Belle ghost town. UPDATE (September 2015): The combination of time, weather, and excessive use by off-road-vehicle enthusiasts has unfortunately seriously degraded Forest Road 192. 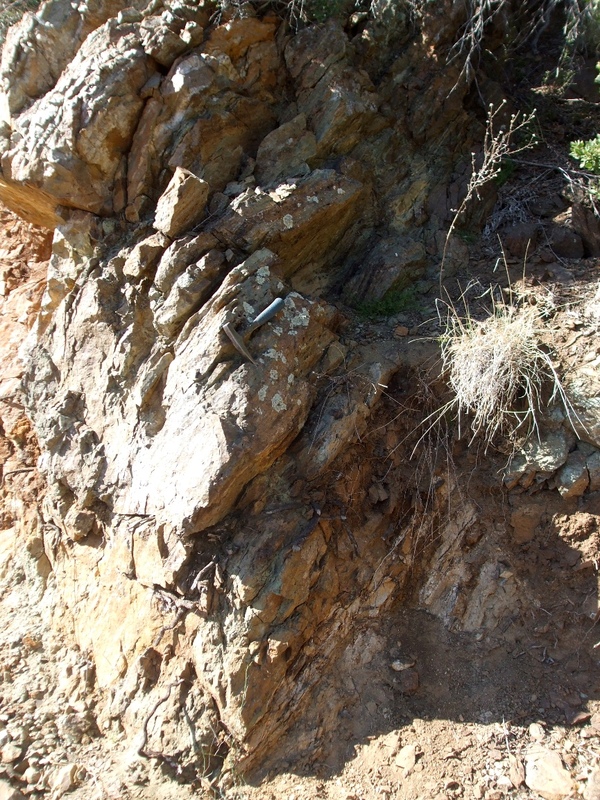 The drive to this outcrop now appears to require high clearance and a lot of patience.